Dig yourself out of the depths of winter doldrums with Trinity Rep's world premiere of Social Creatures, a strangely beautiful, beautifully strange "dramedy" about the end of the world as we know it. 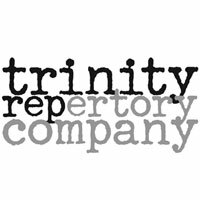 Like nothing Trinity Rep audiences have seen before, this world premiere play was commissioned in 2010 from Jackie Sibblies Drury - a remarkable new playwright and graduate of the Brown MFA playwriting program. Directed by Trinity Rep's Richard L. Bready Artistic Director Curt Columbus, Social Creatures is set in the aftermath of an international pandemic that has decimated humanity. A motley group of survivors are trying desperately to avoid contracting the illness that turns people into something indescribable. Playwright Sibblies Drury explains it best saying that of course, at first the news would have dubbed the infected "zombies", because it sensationalized and articulated what was going on. But after time passed and as more and more people fell victim to it, and as society began to break down, nobody would talk about any of it at all." Curt Columbus is thrilled with the final script saying, "I knew that Jackie's interest lay not in creating a traditional zombie thriller - although there will be plenty of blood for those that are hoping for that - but also questioning our true nature, and where the true monsters are found. " The director goes on to add, "Plus, the best thing about Jackie is that she can layer all of this social commentary into a play that is wildly funny. What's not to love?" Social Creatures opens in previews on March 14 and runs through April 21 in Trinity Rep's intimate Dowling Theater. Regular and discounted tickets for Social Creatures are on sale now for $28-68 at the Trinity Rep box office, 201 Washington St.; by phone at (401) 351-4242; and online at www.trinityrep.com. Social Creatures is supported in part by an award from the National Endowment for the Arts. The eight-person cast features an incredible ensemble of familiar faces, including longtime Trinity Rep company members Timothy Crowe and Janice Duclos, guest artists D'Arcy Dersham, Alexander Platt and Nance Williamson and Brown/Trinity MFA graduates Darien Battle, Rebecca Gibel and Charlie Thurston. At the outset our heroes are living under a strict set of rules imposed by the group's self-appointed leader Mrs. Jones - the first rule being not to use their real names. "We'll use our real names when we're able to be our real selves," says Mrs. Jones. As the situation unravels, we see the true nature of each person come into focus: one tries to maintain humanity even when it has long since stopped making sense, another becomes a superhero, even if only in her mind, while others are slowly seduced by the possibility of the ultimate escape, even if it means retreating from their own humanity. Columbus has tapped the talents of Tony award-winning set designer Eugene Lee to design the chaotic world of the survivor's "safe haven" along with costume designer Olivera Gajic, lighting designer Josh Epstein and sound and video designer by Peter Sasha Hurowitz. "We aim to take the audience with us on this journey so fully, that they will feel that they too have sought refuge here," says Columbus. "Like any good monster story, the audience will begin to wonder how certain they are that Providence isn't abandoned, that these aren't the last people on Earth and that there isn't an otherworldly creature about to sit down next to them for a bite to eat." Brooklyn-based playwright Jackie Sibblies Drury (playwright) has been in residence at Trinity Rep since February as a guiding voice in the rehearsals of the play and working intensely with the cast and creative team. She is perhaps best known for her play We Are Proud to Present a Presentation About the Herero of Namibia, Formerly Known as South West Africa, From the German Sudwestafrika, Between the Years 1884-1915 which had its New York premiere at Soho Rep in fall, 2012, and its world premiere at Victory Gardens Theater in Chicago. Jackie's work has been featured at PRELUDE.11, The Bay Area Playwrights Festival, Victory Gardens 2010 Ignition Festival, and The Magic Theatre's Virgin Play Festival. Jackie received a 2012-13 Van Lier Fellowship at New Dramatists. She was a member of the 2011-12 Soho Rep Writer/Director lab, a 2010-12 New York Theater Workshop Emerging Artist of Color Fellow, and member of The Civilians' R&D Group. She was the dramaturg for Zero Cost House, a collaboration between Pig Iron Theatre Company and Japanese playwright Toshiki Okada. Jackie is a NYTW Usual Suspect and a MacDowell Colony fellow. She is a graduate of Brown's MFA playwriting program, where she received the David Wickham Prize in Playwriting. Jackie is the inaugural recipient of the Jerome New York Fellowship at The LARK for 2012-2014. Richard L. Bready Artistic Director Curt Columbus joined Trinity Rep as creative head of the theater in January 2006. His directing credits for Trinity Rep include Merchant of Venice, His Girl Friday, Camelot, Cabaret, The Odd Couple, The Secret Rapture, The Receptionist, A Christmas Carol, Memory House, Blithe Spirit, Cherry Orchard and the world premiere of Stephen Thorne's The Completely Fictional-Utterly True-Final Strange Tale of Edgar Allan Poe. He subsequently directed ...Poe for Baltimore's CENTERSTAGE as part of their 2012-2013 Season. His adaptation of Crime and Punishment (with Marilyn Campbell) is published by Dramatists Play Service. Curt's translations of Chekhov's plays are published by Ivan R. Dee, Chekhov: The Four Major Plays. The Dreams of Antigone is published by Broadway Play Publishing.